These days the usage of internet is growing by leaps and bounds. People are more and more engaging with internet, not just only to access website and interacting via social media but also for learning and developing. Now-a-days every start-up and/or branded business transforming their marketing strategy not only online but also offline marketing. Organizations must have specific budget for their digital marketing. Now digital marketing has proved one of the most important things of every business success. When the need for digital marketing is increasing so the need for digital marketing specialist is increase simultaneously. This way digital marketing training is increasing its popularity for producing right candidate for organizations. 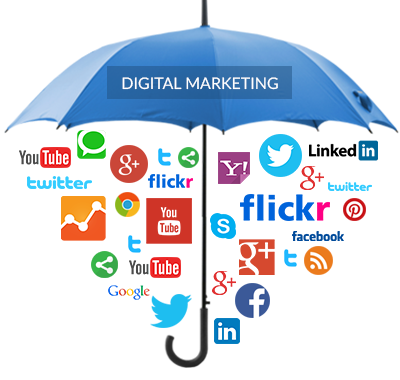 If you are fond of internet, browse a lot a day and like to interact a lot via social media then digital marketing can be your career. Before going towards the digital marketing, you need to know something about this career. Digital Marketing is vast. It has wide area. Many internet careers are interconnected with digital marketing, such as SEO (Search Engine Optimization), SMO (Social Media Optimization), SEM (Search Engine Marketing), SMM (Social Media Marketing), Content Marketing, Email Marketing, PPC (Pay Per Click) etc. Let us start researching on all, so that you can understand which part of digital marketing is fit for your career. SEO (Search Engine Optimization):- With the help of SEO, when you use on-page and off-page optimization, you can boost your website rank on first page in all major search engines and that would be organic search results, like Google, Bing, Yahoo etc, without spending any amount. SMO (Social Media Optimization):- With the help of SMO you can engage your business products and or services with people or your clients. It is very important for the purpose of branding any business by way of social media websites like facebook, Twitter, Google +Plus, Pinterest as well as LinkedIn. SEM (Search Engine Marketing):- With the help of SEM you can use PPC (Pay Per Click) and Display your ads to reach your potential customers online. Pay Per Click advertisement are normally used for the purpose of Instant reach of Business to the potential customers on online search results as well as Display advertising are utilized for the purpose of branding and targeting any business on Publisher one or more websites. SMM (Social Media Marketing):- When you use SMM for ads for your business on social networking websites. Social networking advertisings are so much effective. These types of ads are generally used in different ways like gathering a particular network of same interest as well as increase your sales, boost your business by reaching to potential customers by way of internet. At present time marketing future or say online marketing is so bright. Every day hundreds and thousands of companies fire their offline or direct marketing team, and come set foot onto online marketing. Many companies hire full time as well as part time digital marketers to boost their products and/or service through online, thus the demand for Digital Marketers are increasing and at the same time digital marketing training Kolkata producing right digital marketing specialist for the market.